Why am I challenged in relationship, my company, a legal matter, career, spirituality, or finances? Laurie�s purpose is to give you new clarity about underlying unseen aspects of yourself and your circumstances so that desired improvements become possible. 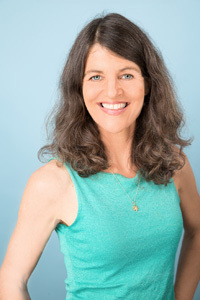 Dr. Laurie Moore uses her intuitive gifts as animal and human reader to offer clarity, relief, wellbeing, and assistance with with life passages, relationships, and business success. 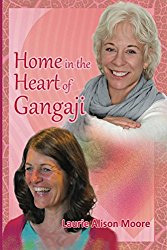 Her gift is a deep understanding of each person and animal involved in any situation from the highest place of respect and love. Her purpose is to help those who ask for her assistance to heal emotionally, prosper spiritually, and succeed financially, and be fulfilled in love and life. Hearing what you knew all along but could never quite articulate, or understanding the hidden aspects of your challenges can change your world! Dr. Laurie is a HEART telepath. Why am I experiencing particular challenges with: Relationship, Finances, Legal Matters, My Company, Emotions, Self-Defeating Habits, Spirituality or Career? What do I need to know to make a positive change starting today? Many who work with Laurie experience healing in the heart, a greater sense of self-honor and deeply positive changes in their lives. Break patterns and release obstacles. Find new confidence and joy. Make desired changes with relationships, career, personal habits, money, and spirituality. 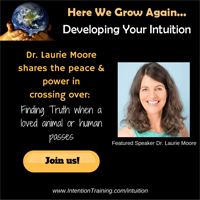 How might a session with Dr. Laurie Moore be of value in your life? Human Sessions: Experience relief, set a new course of action, make a challenging decision in peace, feel more at home in your own life, experience more love, success, spiritual fulfillment, and financial rewards! 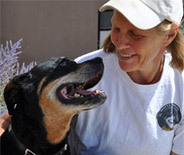 Animal Sessions: Experience relief, joy, understanding, greater service, peace, and deeper love. LaurieMoore.sessions.seminar@gmail.com or 831-477-7007. I cannot tell you what a blessing you are. You are extremely gifted and talented. Never before did an animal communicator understand each of my animals at the levels you do and I have spoke to a number of animal communicators. You see inside my beloved animals what usually I only I can see from living with them. Thank you for your generosity. I call you because you see and articulate what I feel and know but doubt. You pick it up right away without me explaining, and express it in a way that is just right. Thank you. I call you because you immediately understand the underlying motives of all people involved. You help me to create outcomes that are fair and right. I call you because you help me to make immediate changes with lasting results. 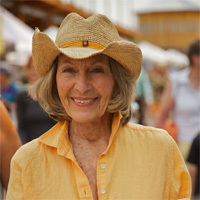 "Over the decades my business became global. I have people from just about every religion, no religion, spiritual path, no spiritual path, and positive life style saying I understand them deeply. This is very gratifying as I listen to each person with my universal heart. The mystery of the world is a big topic! I embrace many different view points as view points, all welcome, all with value to contribute as long as benevolent. Of course I am reluctant to post media work on my website from some of the alternative venues as some tribes have trouble embracing others, but I am here as a check in point for many. I am less concerned with who is right, more focused on how can we use our different view points (as long as the views are benevolent, constructive and caring) to create good on earth."